Virtual reality has the potential to be one of the most disruptive technologies for a decade, according to industry analyst firm CCS Insight. 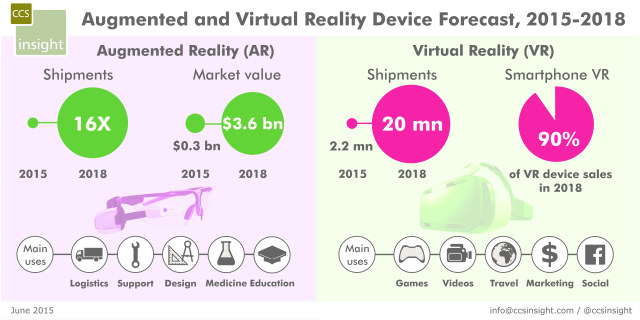 Its new forecast for augmented reality and virtual reality devices signals the market is at a tipping point for both technologies. Virtual reality is a fully immersive experience that places the viewer into a completely different environment. Augmented reality enhances the world around us by adding an overlay of digital, contextually aware content and information.